Call A to Z Entertainment, Inc. today for free information about how to hire or book gospel musician Kynne. We are your agent and talent agency for booking and hiring Christian and gospel music singer Kynne! We book or help you hire any live professional entertainers you want, in addition to those you see on our site. We also help you plan and produce you show or event, so call us today at 888-655-4575 and we’ll be glad to help you. This stellar award winning, two-time Grammy nominated artist is back with his current popular album entitled,”RISE”. Kynne has spent many years traveling extensively around the world ministering God’s word through his preaching and through song. Kynne’s passion for ministry in the inner-city communities has inspired him to set up a program called Y.E.P. (Youth Entertainment Program) Y.E.P focuses on giving youth and young adults the opportunity to express themselves in whatever form of talent they have to worship God. Kynne is the Pastor of New Covenant of Praise Worship Center (NCP). Wearing many different hats, Pastor Kynne is a phenomenal producer, vocal arranger, composer, teacher, musician, songwriter, and father. 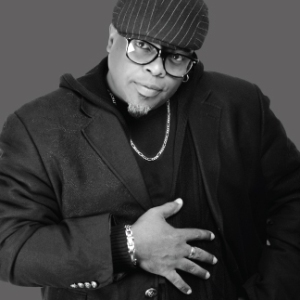 Pastor Kenny has a unique style that some describe as a special sultry blend of urban contemporary music with an R&B feel. Now, with six projects under his belt, there is no question that Kynne is established as one of gospel’s major hitters in urban contemporary music today. Pastor Kynne is no stranger to the gospel industry and has collaborated with many well-known artists in his field. Kynne is the founder of his own record label, ‘Airtight Entertainment’. With his latest release titled RISE; it is clear Kynne has a message from God that brings attention to the present conditions of our world today. His message will encourage both young and old alike, saved or un-saved to hear God, try God, and to once again trust God. Kynne is one of God’s greatest voices in urban contemporary gospel music and the Christian ministry today. We can help you book or hire any Gospel or Christian music singers. We’re your best talent agency and agent for hiring and booking gospel music singer Kynne. So call 888-655-4575 today and we’ll be happy to help you. A to Z Entertainment, Inc. is not the exclusive agency for any live entertainers on this site.